There is alot of debate about whether you should help a quail chick or any chick out of their shell. I believe it is up to the individual to assess their own situation and decide if they are going to intervene or not. I received a comment from Dave today asking if he should help the quail chick that had pipped the shell to hatch out. I am hatching some chinese painted quails in an incubator. The chick has broken the egg and its beek is peeking out, it’s been like this for about 12 hours… Should i help it out of the egg? Thanks for visiting the farmingfriends website and leaving this question. 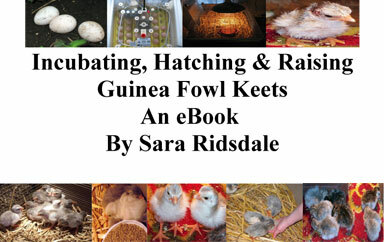 All the books and research says that you shouldn?t help chicks out of the shell and that opening the incubator can affect the rest of the eggs hatching.I have not had to help quail hatch as they managed to all hatch at the same time and relatively easily. I have however had to help many a guinea fowl and more recently ducks out of their shell. in fact I have 7 ducklings that are now 4 weeks old and if I hadn?t have helped them out of their shells then I would only have one. All the ducklings are growing well and appear to be healthy. From experience I have found that if a chick has not hatched itself within a few hours then I have found that they often die in the shell as the heat in the incubator dries up the shell and membrane and makes it difficult for the chicks to hatch. If you do decide to help the chick out, remove the egg from the incubator quickly and cupping the egg in your hand to keep it warm carefully start to pick off the shell from where the egg has pipped as this is where the chicks beak is. I have always had to work quickly although you have to be very careful that the blood vessels in the shell don?t bleed as this can kill the chick. When I help a chick out I try to pick the shell off the head part first and work my way down. I never take all the shell off as the chick is attached to the shell at the base. I usually take the top off and try to make sure that the chicks head, wings and body are free. It is important to make sure that the chick can move about because once it goes back in the incubator the membrane and shell dry out and can get stuck to the chick. I then put the chick and attached shell back in the incubator and let the chick wriggle free in it?s own time. 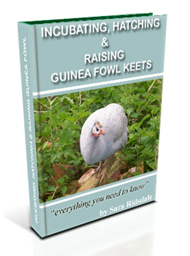 Sometimes the guinea fowl keets have made it and sometimes they have still died. Another thing to consider is once you have opened the incubator the temperature and humidity will be affected and this could stop other chicks from hatching. You say that the chick has been like this for 12 hours. If you decide that you are going to open the incubator I would just check that you can see movement from the chick otherwise you will have affected the incubator conditions and the chick could already be dead. I hope this information helps you make the right decision for you and that your chick is ok. I am pleased to say that I have heard from Dave and the news is good. Do you have an opinion about whether we should help to hatch out chicks then please leave a comment. My 2 day old chinese painted chick has got curled feet, i tried to use the cardboard shoe to know avali, chick is too wriggly, what do you suggest please? I hope that your quail chick is ok. It sounds liike the chick is just exhausted. chicks often wriggle about trying to move when they have been helped out. Let me know if the chicks feet are still curled as you can help to uncurl them. Did any other chicks hatch? Just to let you know that I have a free forum with a section on quail and incubating http://farmingfriends.com/forums/ where members can chat and ask questions. Hope all well with the chick. Hi, I have juat had to help a Quail chick out of it’s shell. It had cracked a hole and I could see it’s beak, but then nothing else happened for a good 3-4 hours, and normally Quails don’t take that long to hatch. I was worried it would dry out inside the shell so I carefully peeled back only half the shell, then it managed to wringle out of the rest. It is now not walking properly ad it’s feet are curled round, it is jus lyin on it’s side tryin to move. Have I caused this or wil it get better? Thanks for leaving your comment on my website. I am pleased to hear that your chick is now out of the shell with your help. I hope your chick is progressing well. Is your chick a quail chick or a hen? Let me know how your chick gets on. Thanks for leaving your comment on my website. I am delighted to hear that your chick survived and is now doing well and laying 10 months on. What a success story. You had a good hatch rate. It is difficult helping the chicks but it is worth it when they survive. I had to help 6 of my 7 ducks and they are all doing well 19 months on! I am glad that you have found my website useful. I just helped a chick from her egg. She (I hope) is now peeping away. I wasn’t sure if I should her her- lots of conflicting advice mostly about nature running its own course. I found it was in my nature to give her a hand. She’s now snuggled under mum. I don’t know if she’ll make it but seemed she has started her eggscape over 12 hours ago and I worried she might dry up in there. Thank you for the detailed description of carefully removing the egg! In June of 2009 I incubated 24 Quail eggs with a success of 16 hatching. I kept the incubator on for an extra 3 days and am so glad I did as on the last day I noticed one of the eggs had a a slight crack and moved every now and then, after work I checked the eggs and still nothing so I began to help hatch the chick. The membrane of the egg was so tough even I found it hard to break and the poor little chick was exhausted. She had managed to crack the shell but couldnt break the membrane, I peeled the membrane making sure that I wasnt near the umbilical cord or causing any bleeding, after helping a little, the chick began moving and was trying to push herself out of the egg but still couldnt so eventually I rubbed the membrane to remove it and I peeled some off and I got her out of the shell. The chicked layed there motionless but breathin for hours and I was worried that I had hurt her in the process of hatching her, the following day she was walking about and i felt healthy enough to be with the other chicks!! she was far smaller than the others and 9/10 months on she is doing well and is laying too, she is also one of the friendliest. I would hatch a struggling chick everytime!! This website was a great way of advice for me! Thank you!! Thanks for visiting farmingfriends and leaving your question. I hope that your chick is ok. I would leave the chick to disattach itself from the eggshell itself. This often happens as the chicks hatch out and after abit of wriggling and writhing about in the incubator they eventually break free from the egg shell. Hope that helps. Let me know how your chick gets on. hi i was wondering our new baby chick hatched a minute or 4 and it is still attached to the egg by the blood vessel. should we do any thing about it. I am glad that you have found the information useful. Good luck and let me know how you get on. What type of chickens are they? Thank you for the advice on helping chicks hatch. 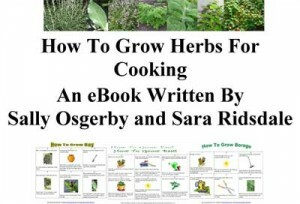 I found it quite helpful as I have had to help several of my chicks. My chickens seem to have VERY hard shell. I know when I cook with them I have to really crack them hard to break them so it doesn’t surprise me that they are having problems. This is my first hatch in an incubator so I am hoping they are going to be okay. Wish me luck.